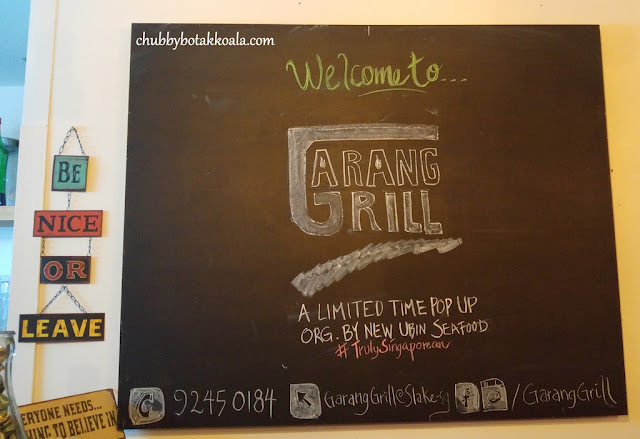 Garang Grill is a pop-up concept by the folks from New Ubin Seafood. 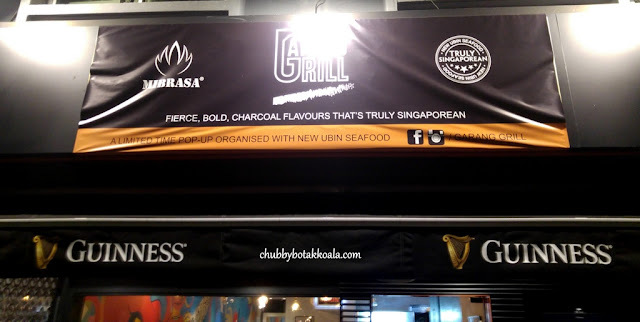 Offering Singaporean style grill experience. The pop-up store was only supposed to open for 3 months, but the response was so good that they extend for three more months; and finally, they just decided to make it permanent. Last I heard, they are going to open the second branch as well. Well, they must have done something right isn't it? Garang is a Malay word that means fierce or powerful. So Garang Grill means fierce or powerful grill. Are we expecting some blackened steak like Florentine steak? Location wise, it is hidden somewhere in Siglap and Bedok. As a car owner, I already find this place difficult to locate, I really have no idea how the people taking the bus or MRT can get there. We started the dinner with Chilled Angelhair Uni ($16). It used to be on the permanent menu, however, this time around it has been shifted to the special board. 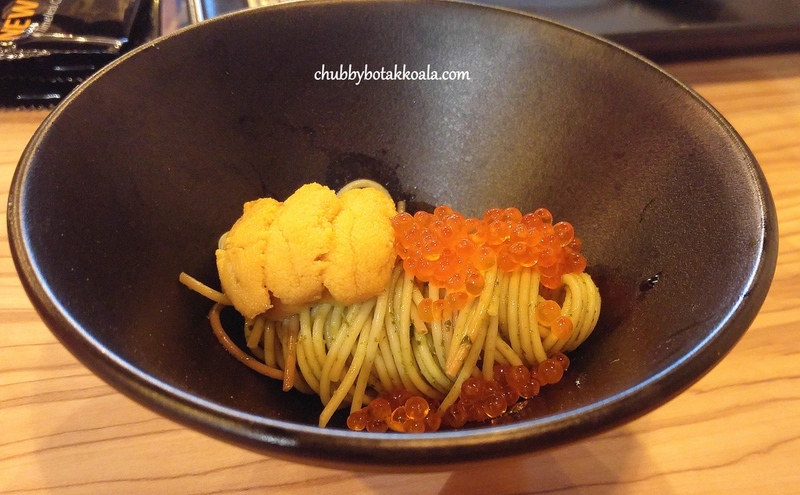 Rolled chilled pasta, coated with olive oil, served with Uni and Tobiko. You have to eat the three ingredients at one go so you can get the creamy texture from the Uni, salty popping flavour from the tobiko and al-dente pasta. I personally find it needs a touch of salt or umami, to make this dish Omph!! 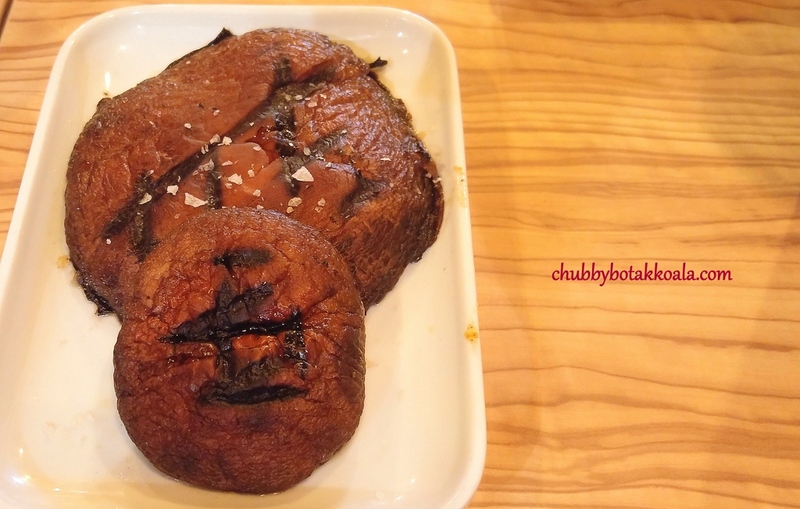 Grilled Portobello ($8) A side dish that you must order. Big in size, juicy, succulent with the lovely mushroom chewiness. It is grilled with smoked sea salt and it is just perfect. Yum Yum. USDA Prime Ribeye 500 gram ($90) served with Garang Rice. We asked for medium rare and it is served as per order. 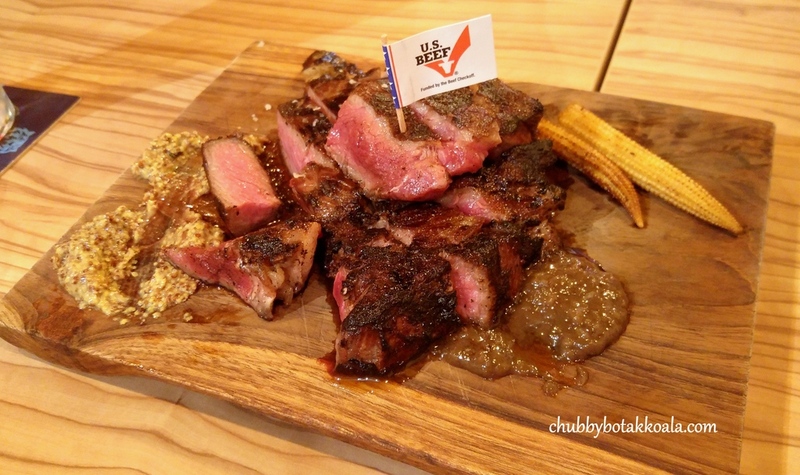 The outer part is charred, crisp and dark while the internal part is meaty and succulent. For USDA Prime Ribeye, we found the marbling of the steak is uneven, you don't even get the melt in your mouth feel and some part of the meat is chewier than the other. Sea & Blue is the latest premium buffet restaurant in Marina Bay Sands, replacing the defunct Todai. Similar to its predecessor, Sea & Blue offers more than 100 food items, which include the freshest seafood, succulent roasts, Western highlights, Japanese fare, local favourites and a large range of mouth-watering Korean dishes and desserts. From the main entrance, the dining area at Sea & Blue looks spacious. Their seating are well spread around the restaurant, including different sizes private room to cater to different group size. As it is too much to go through each dishes, let Chubby Botak Koala take you through some dishes that worth your stomach spaces. Check out the video below for more details. Seafood. 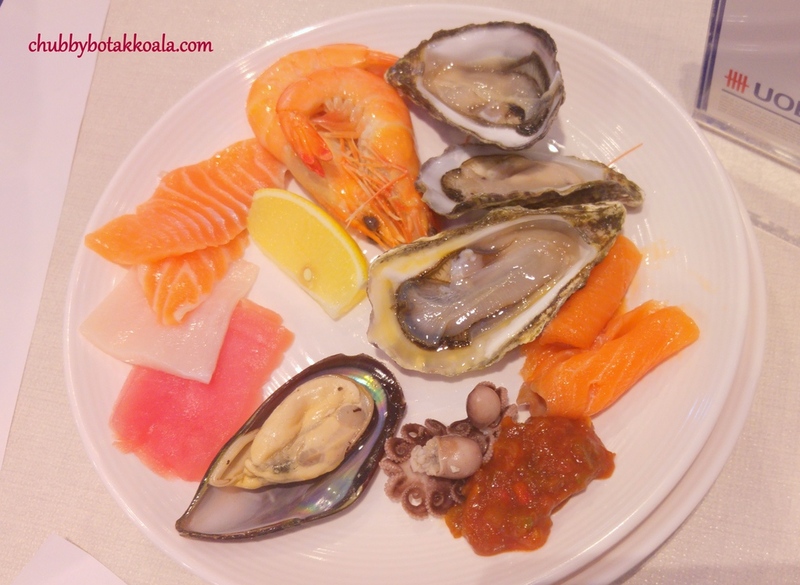 The line up includes oysters, scallops, prawns, snowcrab legs and sashimi selections. The oyster is fresh and shucked on the spot and upon request. The prawns are chilled and crunchy, while the scallops are equal to the oysters. Rejuvenated Cherry Garden recently open its door after it's recent renovations. My last visit to Cherry Garden was early this year, and this new look is just impressive. The new interior features a palette of natural wood stained hues enhanced by daylight streaming through the outdoor garden, lending a bright and welcoming atmosphere. Amuse-bouche was Crispy almond prawns with fresh passion fruit and flying fish roe. The prawn is crispy, crunchy and nicely coated with delicate creamy mayonnaise. The fresh passion fruit gave it a zest that balance the creaminess of the mayonnaise. Most Amuse-bouche can be eaten in a bite, but this prawn is pretty big that it will take you a couple of bites. Well, I do enjoy the bigger portion, as it gives you the shiokness. Known for its innovative and refine Dim Sum menu, we had some for entrée. 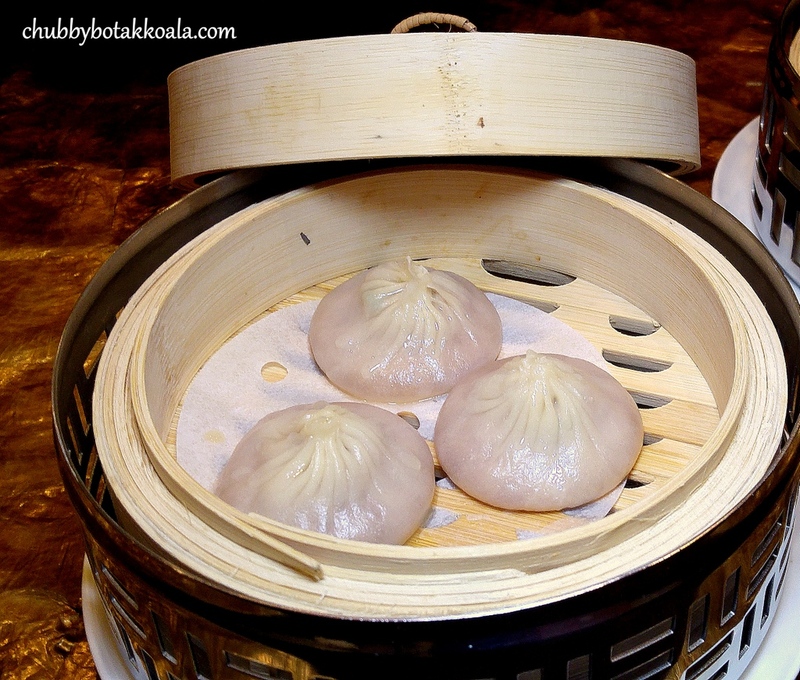 Steamed prawn dumpling with black garlic - 黑金蒜虾饺 ($8); Steamed crystal dumpling with fresh mushrooms and black truffle - 黑松露水晶饺 ($7) and Steamed pork xiao long bao – 金汤小笼包($7). How to keep clean drains in your kitchen? Leftovers, cooking oil and other debris that go down the drain can clog the pipes and cause a whole host of plumbing problems in your kitchen. A sure way to keep clean drains in your kitchen is to be careful what you put down the drain and get accustomed to a few good practices. You should avoid throwing everything down the drain when you wash the dishes. You can start by collecting the cooking oil in a disposable recipient instead of letting it go down the drain when you wash your skillet, wok, or other pans. Secondly, you should do the same for coffee grounds. While having a garbage disposal helps get rid of unwanted debris, the use of a sink strainer or drain-grate is recommended to cover the opening of the drain and thus reduce the number of leftovers that go down the drain. When you move into a new house you might want to consider doing a thorough plumbing inspection, make the necessary repairs and even replace your kitchen sink, if needed. A tip on how to clear clogged drains in Singapore is to use home-made cleaning agents. 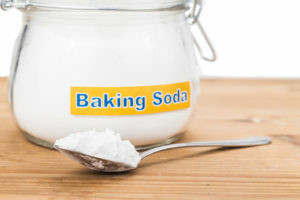 This can be a tablespoon of baking soda, simply cast down the drain and washed with hot water. Baking soda not only cleans but it also absorbs unwanted smells and it can be combined with white wine vinegar for improved efficiency. 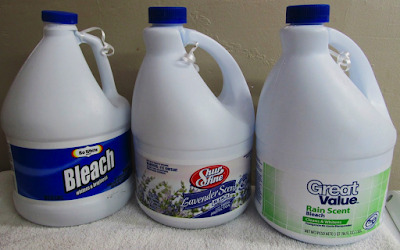 Strong cleaners like chlorine bleach can be an option for cleaning clogged pipes. You can also use this substance as a preventive measure, once a month, by pouring approximately ten ounces down the drain at night, once you have stopped using the kitchen sink. The types of pipes you have in your kitchen will ultimately determine what types of cleaners you can use. For example, PVC or copper pipes are considered more resistant compared to older iron pipes. 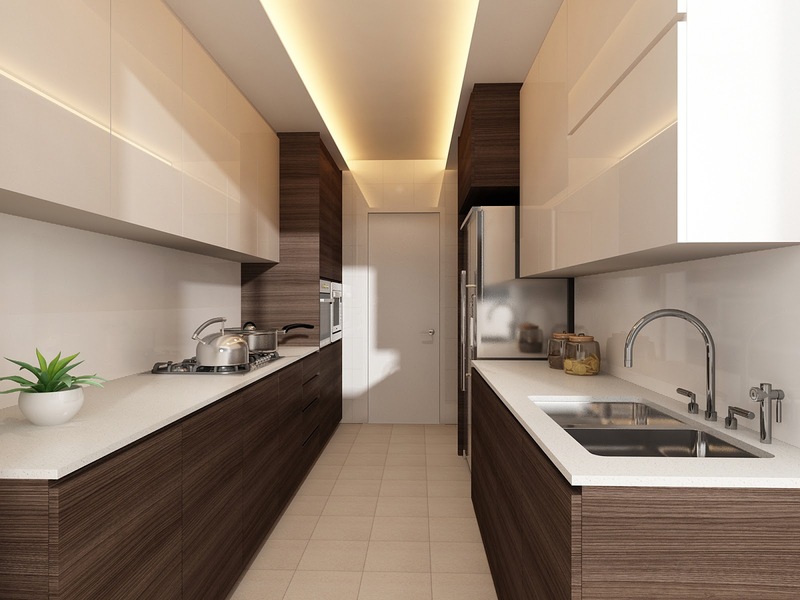 A plumber in Singapore can help you clear the kitchen sink drainpipes and solve any plumbing problems that might have appeared because of clogged, messy drainpipes. 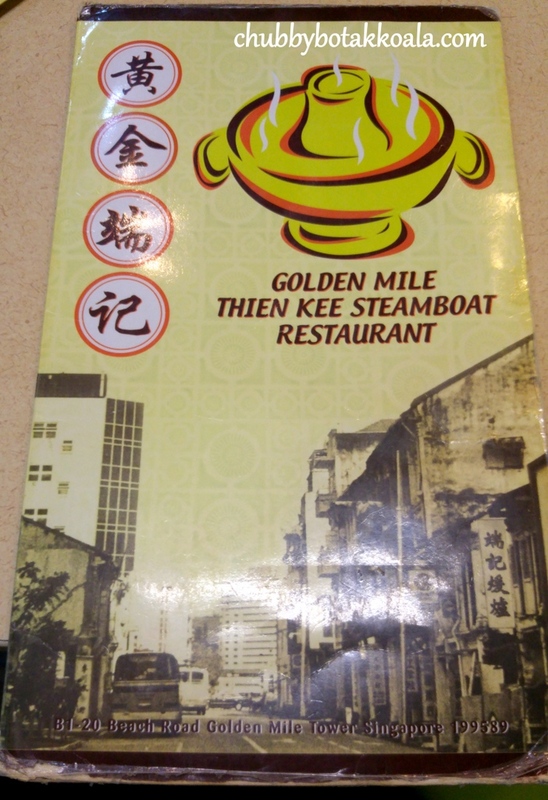 Thien Kee Steamboat Restaurant ('TK') at Golden Mile is a name that most people in Singapore heard or familiar with. 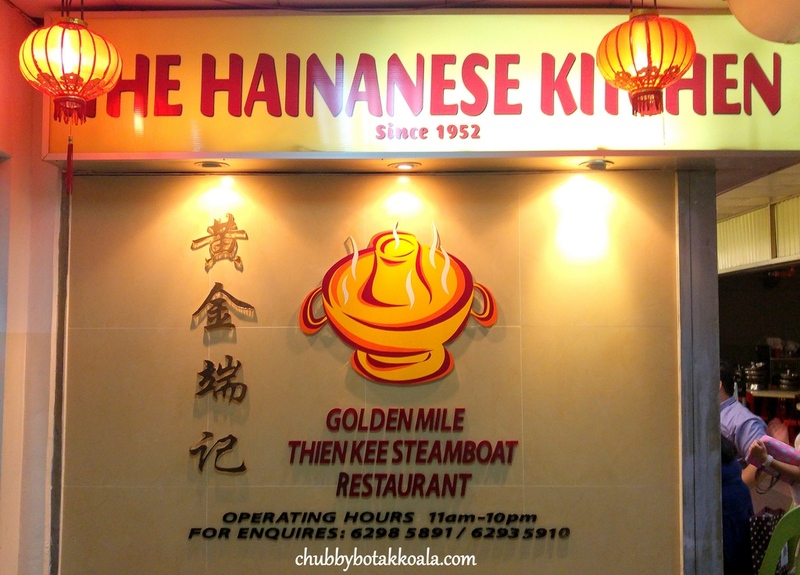 This Hainanese restaurant begins its operation in 1952 and they have been the anchor tenant in the basement of Golden Mile Tower as long as I remember. 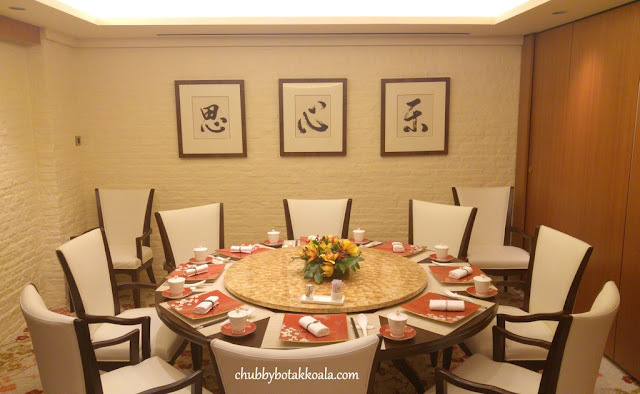 The restaurant itself had undergone a facelift. I remember a while back the place is dark and dingy. However, in the recent visit, it has transformed into a clean eatery. 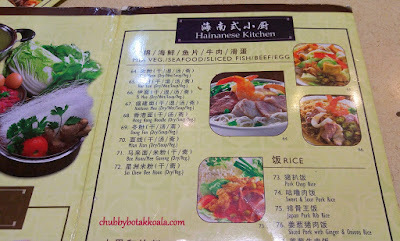 The first thing that you will notice when you received their menu is there is no price on the menu. This mystery often lead to “kiasu” perception where if you get chopped here or not? 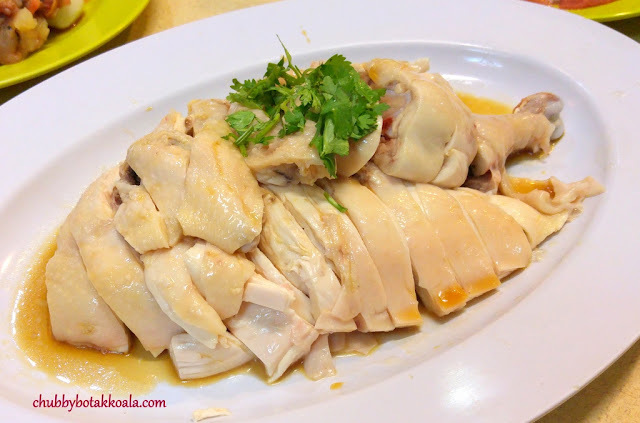 Hainanese Chicken and Chicken Rice. The signature dish here. The chicken is poached to almost cooked, sometimes you can still see the blood near the bones. It is plump, juicy and succulent, with silky skin. The combination of light soy sauce and oil are drizzled on the chicken for more flavour. A minus point here is that the chicken missing its bishop, my favourite part of the chicken. The rice is aromatic and plump. 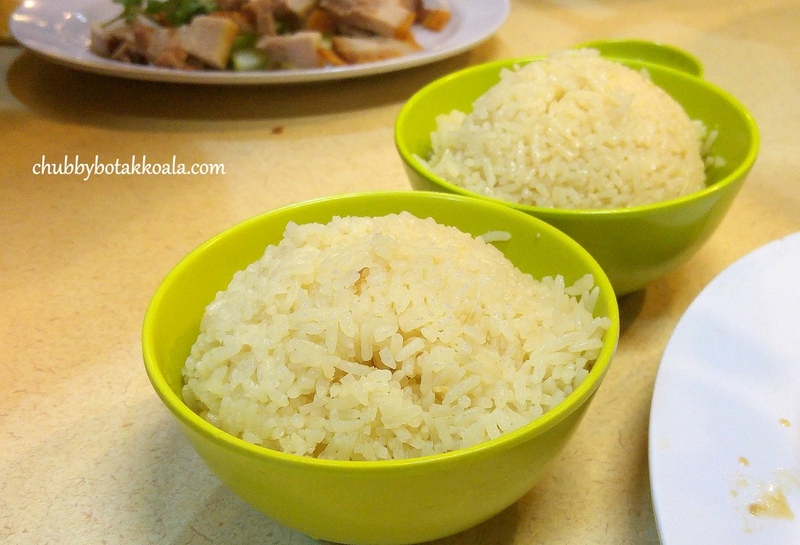 The rice soaks up the essence of the chicken broth plus the ginger and garlic. The cucumber has the most subtle taste. It is refreshing and crunchy. The taro is crisp externally, followed by smooth velvety taro paste and the burst of sweetness from the banana fillings. Meanwhile, the deep-fried huge tiger prawn is crispy and bouncy, with a bold creamy flavour from the mayonnaise. 2nd course, Braised Shark’s Fin with Fish Lip and Shrimp Dumpling in Shark’s Cartilage Soup served in Stone Bowl (石锅翅骨三宝汤). The soup that was served has different ingredients but we were assured the soup base is similar. The robust cream milky broth is the result of a long period of boiling. It is served on a hot stone, it retains the heat over a long period of time. The heat and peppery flavour from the broth nicely balance the gelatinous texture from the fish lips. 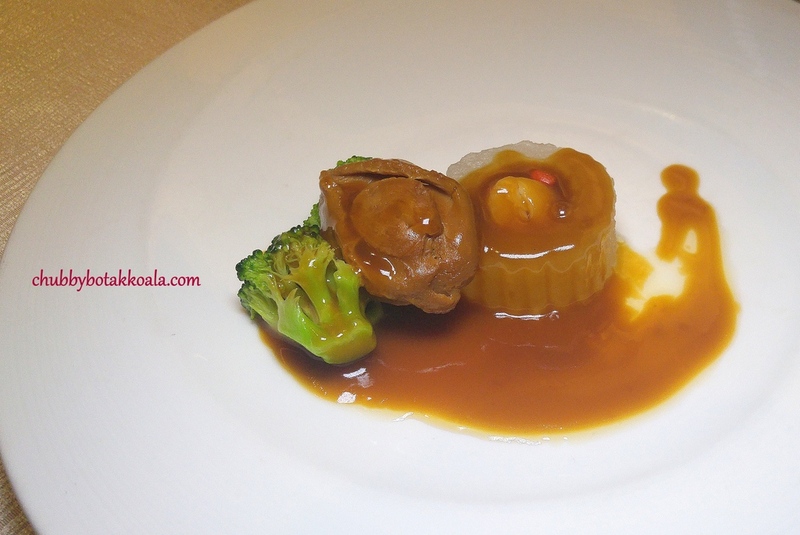 3rd course, Braised Six-head Whole Abalone in Superior Oyster Sauce accompanied with Hairy Gourd Rings stuffed with Conpoy (玉环瑶柱莆伴六头鲍鱼). A springy yet succulent braised six-head abalone nicely absorbed the braising sauce. The gravy is thick, rich and robust complements the crunchy broccoli and the more subtle hairy gourd. 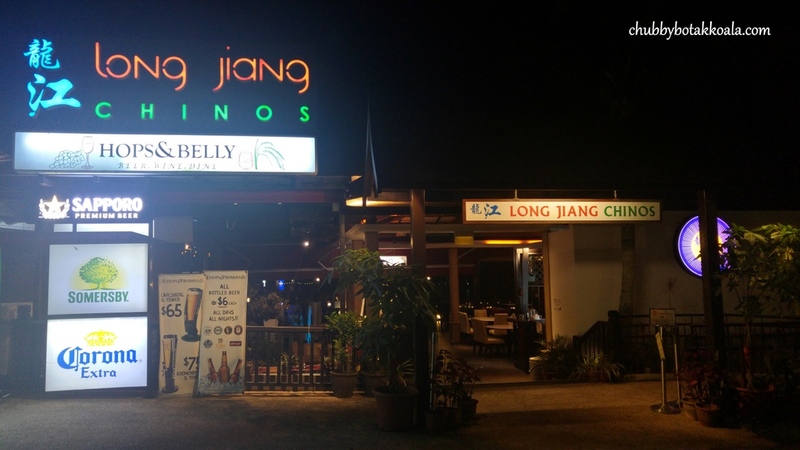 Long Jiang Chinos ('LJC') is a Chinese restaurant established by Long Jiang Culinary, an F&B group that has years of experience in the culinary industry. They are the main curator of F&B delights in Singapore Turf Club. Located in quaint and serene ORTO in Yishun, LJC provides a unique dining experience in the North part of Singapore. It has an alfresco dining concept and most of the dining area faces the lake. The huge outdoor air circulator and cooling system will ensure you still dine in comfort during those hot and stuffy days. It is a good dining destination, within a close distance to Yishun heartland that re-live the Kampung spirit. We kick start the tasting with Baby Squid ($14). A favourite entrée in seafood restaurants in Singapore. The little squid is deep fried till crispy and tossed with the sweet sauce that normally made from honey, light soy sauce, and dark soy sauce. It is delicious and you can't stop munching it. 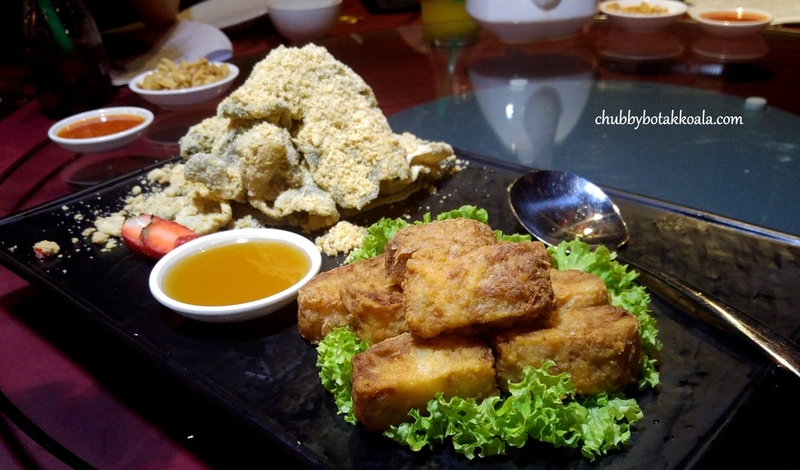 Fish Skin with Salted Egg Yolk ($8.80) and Crispy Fried Har Chou ($12 for 8 pcs). It is actually two separate dishes, the kitchen put them together to make it look big. 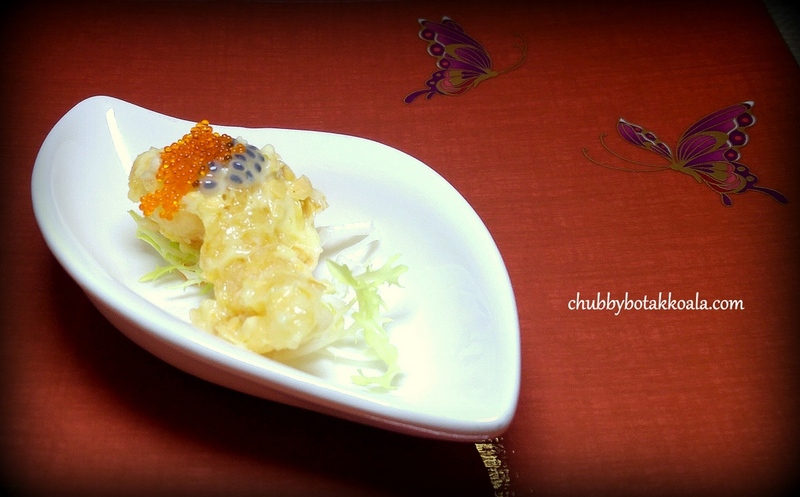 The fish skin is crispy topped with fluffy powdery salted egg yolk. The Har Chou is crisp with solid and generous fillings. I find both of this dishes actually complement each other nicely. Seafood Hotpot ($128 good for 4 to 5 pax). The signature dish of LJC. The whole Soon Hock fish is simmered on a bed of cabbage with other live seafood such as prawns, clams, and squid with chicken stock.